What if the whole purpose of an independent judiciary is to be anti-democratic? What if its job is to disregard politics? What if its duty is to preserve the liberties of the minority — even a minority of one — from the tyranny of the majority? What if that tyranny can come from unjust laws or a just law’s unjust enforcement? What if we have a right to insist that judges be neutral and open-minded rather than partisan and predisposed to a particular ideology? What if presidential candidates promise to nominate judges and justices who they believe will embrace certain ideologies? What if history shows that Supreme Court justices appointed by Democratic presidents typically stay faithful to their pre-judicial ideologies? What if history shows that justices appointed by Republican presidents tend to migrate leftward, toward the middle of the ideological spectrum? What if some Republican-appointed justices — such as Sandra Day O’Connor, Anthony M. Kennedy and David Souter — migrated across the ideological spectrum so far that they became pillars of the high court’s abortion jurisprudence even though the presidents who appointed them publicly expected the opposite? 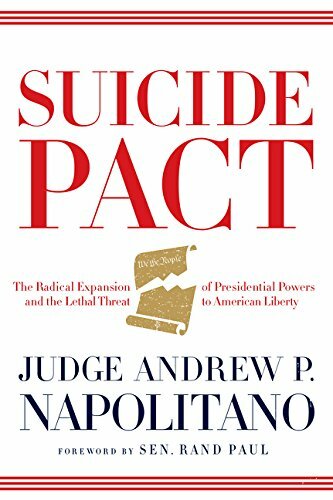 Suicide Pact: The Radi... Andrew P. Napolitano Best Price: $1.01 Buy New $3.50 (as of 06:35 EDT - Details) What if the real business of judging is interpreting words in the Constitution and federal statutes? What if there is no ideologically neutral way to do that? What if one theory of constitutional interpretation — espoused by people who say we have a “living Constitution” — informs that the words written decades or centuries ago should be interpreted and understood in accordance with their ordinary meaning today? What if this theory lets judges decide what those words mean today? What if the opposite theory of constitutional interpretation — called “originalism” — informs that the meanings of words in the Constitution and federal statutes were permanently fixed at the time of their enactment? What if this theory binds judges to well-grounded historical meanings of words and the values they express? What if there is no reconciliation between these two theories of constitutional interpretation? What if judges and justices must choose one or the other or variants of each? What if the Constitution proclaims itself to be the supreme law of the land? What if that means that all laws and presidential prerogatives that are contrary to the Constitution are unconstitutional and the courts before which those laws and prerogatives are challenged have a duty to declare them unconstitutional? What if judges and justices — when confronted with laws they like that are clearly unconstitutional — often find creative ways to uphold those laws? What if that is not what judges and justices are supposed to do but they do it anyway? What if the Supreme Court has consistently held that surveillance constitutes a search under the Fourth Amendment? What if the British practice of spying on colonists was one of the forces that animated the Fourth Amendment? What if the Foreign Intelligence Surveillance Act of 1978, the Patriot Act and their various amendments authorize federal courts to issue warrants that are not based on probable cause of a crime and authorize warrantless surveillance for intelligence-gathering purposes? 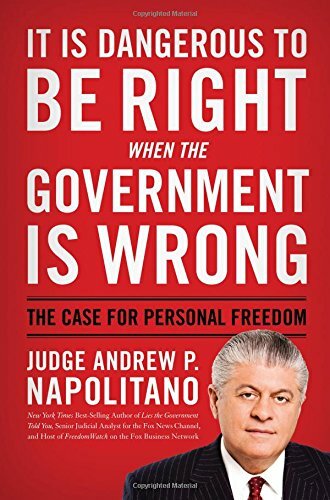 What if the George W. Bush, Barack Obama and Donald Trump administrations have taken the extreme position that these laws permit warrantless surveillance on everyone in America, even those who are not suspected of wrongdoing? What if this warrantless surveillance has subjected every person in America to the loss of rights protected by the Fourth Amendment? What if the Supreme Court has characterized the principle of those rights as being among the highest-protected by civilized society — namely, the right to be left alone? 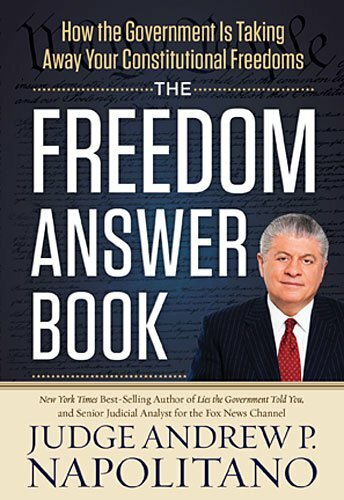 What if a young lawyer who helped to write the Patriot Act in 2001 and its amendments in 2005 and who advised President Bush that he could spy on all people all the time was rewarded for that work with a lifetime appointment to the federal appeals court in Washington, D.C.? What if this judge employed linguistic acrobatics in ruling on this conflict between domestic warrantless surveillance — which he advised a former president was constitutional — and the original meaning of the Fourth Amendment, which he knew bars government spying without warrants? What if this judge — claiming a loyalty to originalism but nevertheless embracing its opposite, the concept of a “living Constitution” — ruled that the feds can spy without warrants on anyone at any time, as long as they do so for intelligence-gathering and not law enforcement purposes? What if this intelligence-gathering exception to the Fourth Amendment exists only in this judge’s mind and not in the Fourth Amendment itself? What if the Patriot Act permits the sharing of intelligence data with law enforcement? What if in this judge’s mind, every bit of data on your mobile device or computer — financial, legal, medical, personal, professional, intimate — is available for government surveillance on a whim and without a search warrant? What if that judge just joined the Supreme Court? What if his perverse views of privacy and the Fourth Amendment were never discussed at his confirmation hearings but his adolescent drinking habits and sexual proclivities were? What if it is too late to preserve, protect and defend the Constitution? What do we do about it?